What is molybdenum X-ray target? 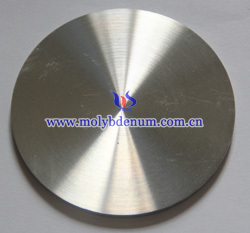 Molybdenum X-ray target, full name is mammography X-ray photographic examination, also known as molybdenum target examination. As noninvasion examination method it has less pain, more simple, high resolution and good repeatability. Besides, the leaving images can use for before and after comparison and has little limitation on age and shape constraints, so now it is as a routine examination and breast cancer diagnostic sensitivity is 82% to 89%, specificity 87% to 94%. X-ray mammography system is a low-dose breast X-ray taken breast technology that clearly show the layers of the breast tissue and can use for breast hyperplasia testing. Besides, it can observe less than 0.1 mm microcalcifications and calcification clusters, which is a reliable way to diagnose breast cancer. Molybdenum target mammography imaging system has a lot of advantages including imaging clearly, convenient operation, small amount of radiation and other good performance. To use this technology for breast testing can pinpoint diagnose breast hyperplasia, disease, mass, calcification shape, size, density, and other properties.